Kresge Contracting has the expertise and experience to make your dream kitchen a reality! 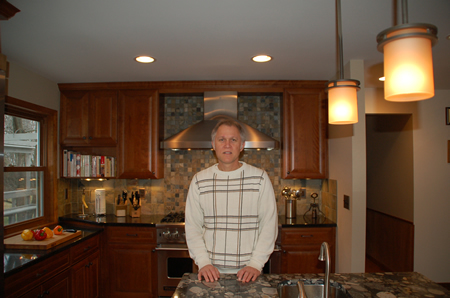 Kresge Contracting, Inc., provides complete custom kitchen designs by Mark Kresge, Certified Kitchen Designer and Master Certified Remodeler. Our kitchen design agreement allows Mark and his team to spend the time to develop your unique kitchen design. We utilize high-quality remodeling products for a new kitchen you can be proud to show off to friends, family and associates. The typical price range for a kitchen design within an existing home is $1,000 to $2,500. Whether you are ready to redesign an outdated kitchen or want to customize your home to better fit your lifestyle, Kresge can bring your design dreams to life. The services of a full-service, one-stop design-build professional remodeling company. Confidence! – we manage everything for you so it is done right and to your tastes. From design development, product selections, construction management, you can have confidence your project will turn out as envisioned. The expertise of our design team, including a Certified Kitchen Designer, interior designer, and experienced estimator who can help you make the most out of your budget. Your kitchen has so many possibilities! By working with a Kresge designer, you will receive a custom solution to meet your unique needs. Once your kitchen design meets your final approval, Kresge Contracting can then implement your plan with our experienced remodeling team. Our goal is to make your kitchen more than just a room – it should be uniquely you! 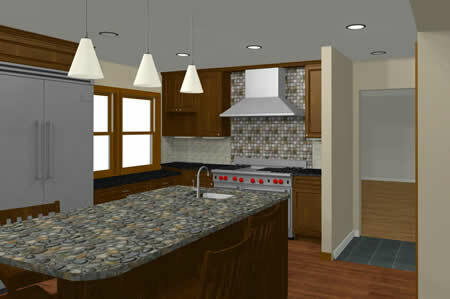 Call us at the number above to schedule your free kitchen design consultation!